Our smallest and most manageable net to sample plankton or microplastics located in the first few centimetres of the water column. It houses two floats between which is the 60x25cm net frame designed to fit our manta plankton net. The structure is made of AISI 316 stainless steel and allows attachment of the main line. 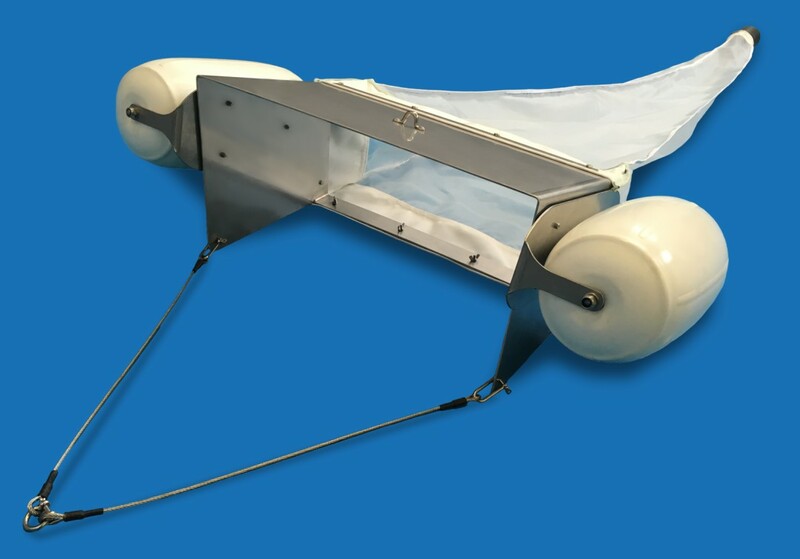 The top and cod end of the plankton net is made of sturdy canvas. The body of the net, with rectangular mouth, is made of Nytal mesh. The cod end of the net is designed to fit our CP3-110 plankton collectors. Very manageable net structure with 60x25cm frame. Removable floats for easy transport. 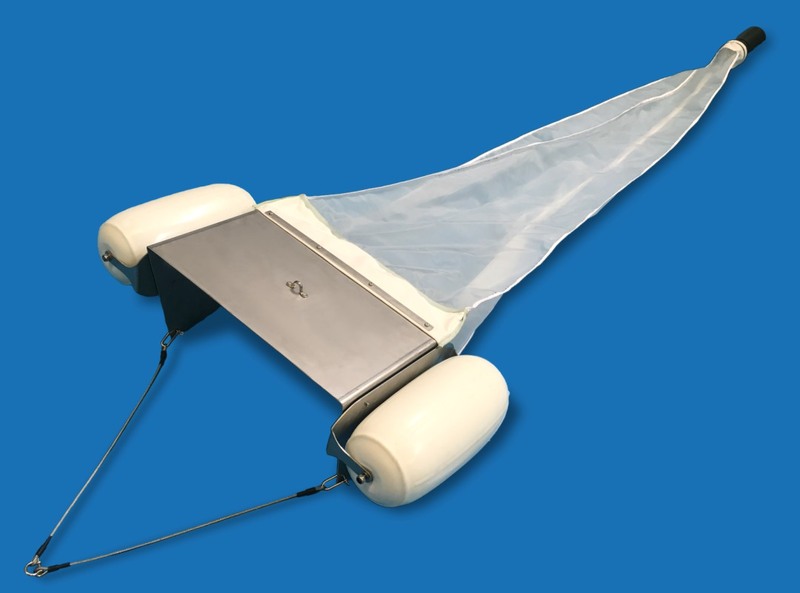 Manta plankton net with rectangular mouth, calculated for optimal filtration efficiency, with reinforced cod end, and adapted for use with our CP3-110 collectors. The Neuston plankton nets shown in this page have been calculated for optimal filtration efficiency in drags at a maximum speed of 2 knots.